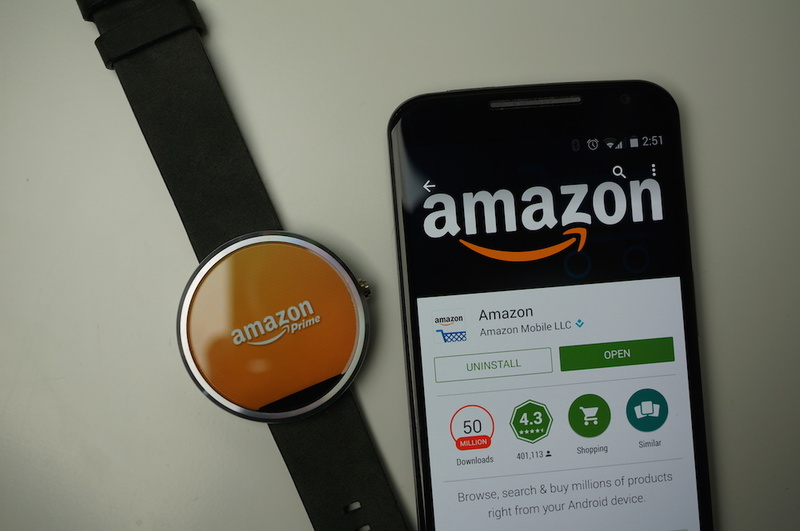 Thanks to an update for the official Amazon app in Google Play this week, shoppers who can’t get enough of Amazon can now browse the goods on their Android Wear smartwatch. Once updated, all you need to say is “Start Amazon” after speaking the regular “Ok Google” launch phrase. Once started, another voice indicator pops up, asking you what it is you are looking for. To test, I stated, “watches,” and was then shown a list of watches that feature very low prices with Prime shipping. To take it one step further, Amazon allows for users to turn on one-click shopping, meaning that if you find a product you want while browsing on your wrist, you can instantly purchase it as well. If you want to save it for later viewing, you can also add items to your Wishlist. If you need more product detail, but are mobile, you can open any product listing right on your phone with the official Amazon app with a single click. The update and Android Wear extension is nice, albeit a bit clunky, but certainly usable. Asus ZenWatch Unboxing and Tour!